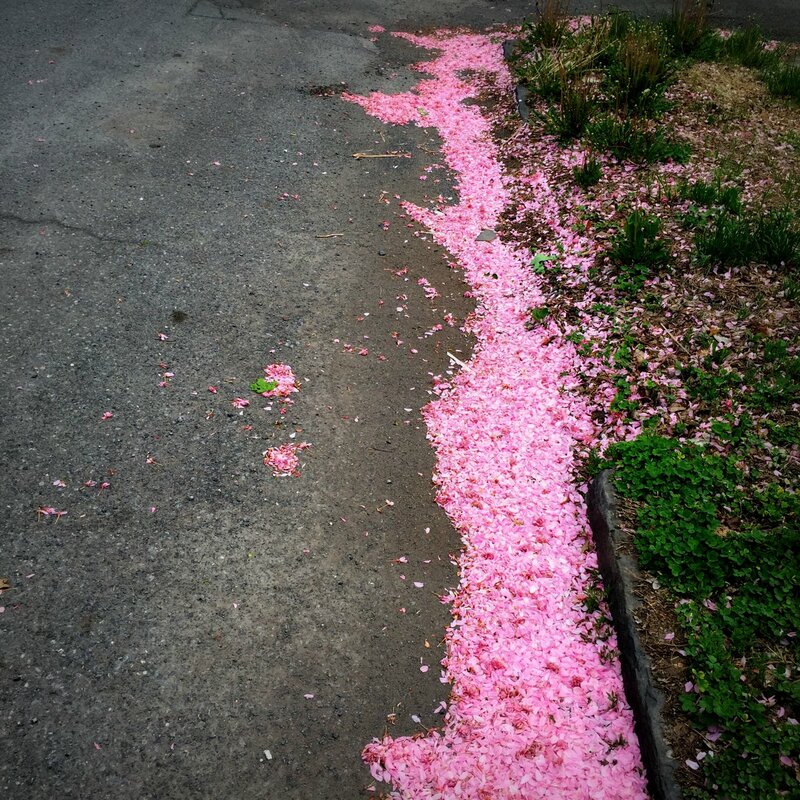 Last night the west wind blew down all the cherry blossoms from the tree across the street. They landed on our side of the road, gathering in a lovely line of candy-pink bubblegum bliss along the curb. I was filled with child-like excitement to find this. 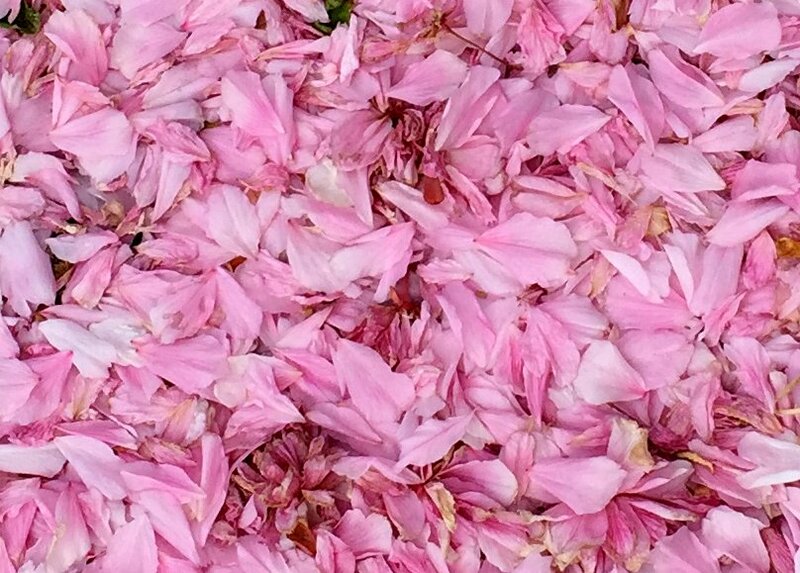 Illuminated by the early morning light, the petals seemed to glow, a hint of pink snow left behind after The Cat in the Hat and his friends had departed. I stood there with my dog and took in the magic. By mid-morning they had scattered and were gone. 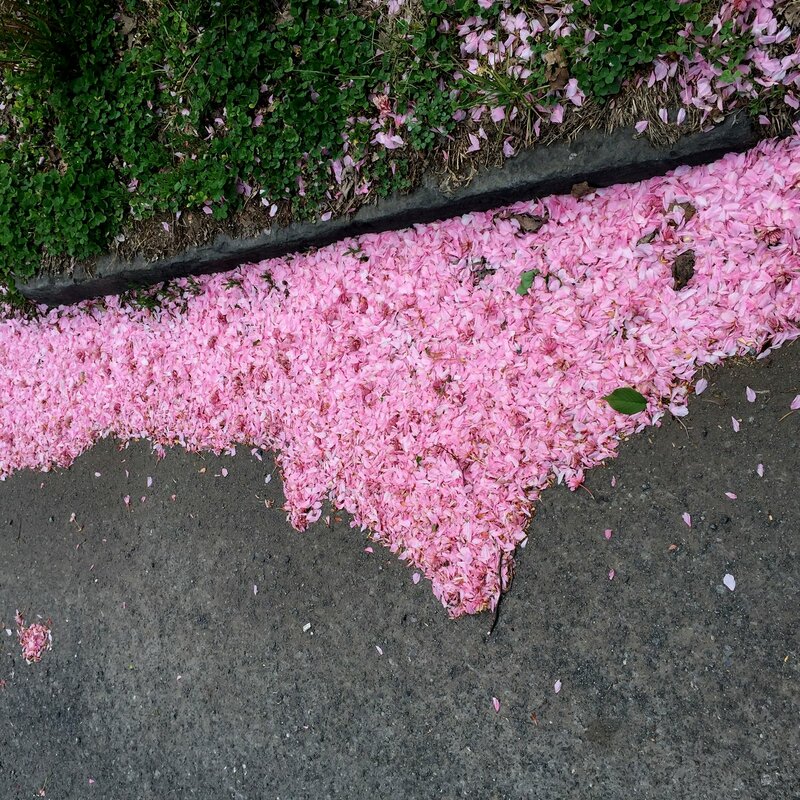 This entry was posted in Perspective, Spring, Uncategorized, Wow! and tagged beauty, cherry blossoms, early morning, Spring, wonderous things. Bookmark the permalink. Love this post. I have been thinking a lot lately about how transitory life is, this story illustrates it beautifully. Thanks! yes, fragile, illusive, beautiful…thank you! Gather ye cherry blossoms while ye may!